The Flying Scotsman has completed its inaugural run after a decade-long, £4.2m refit. It made the journey from London King's Cross to York, where it will go on display at the National Railway Museum (NRM). It arrived in York about 13.20 GMT, almost an hour later than expected, after it was twice held up by reports of trespassers. The first disruption happened at about 09:00 near St Neots when the train was brought to a standstill while British Transport Police cleared the lines after reports of around 60 people on the track. No arrests were made. 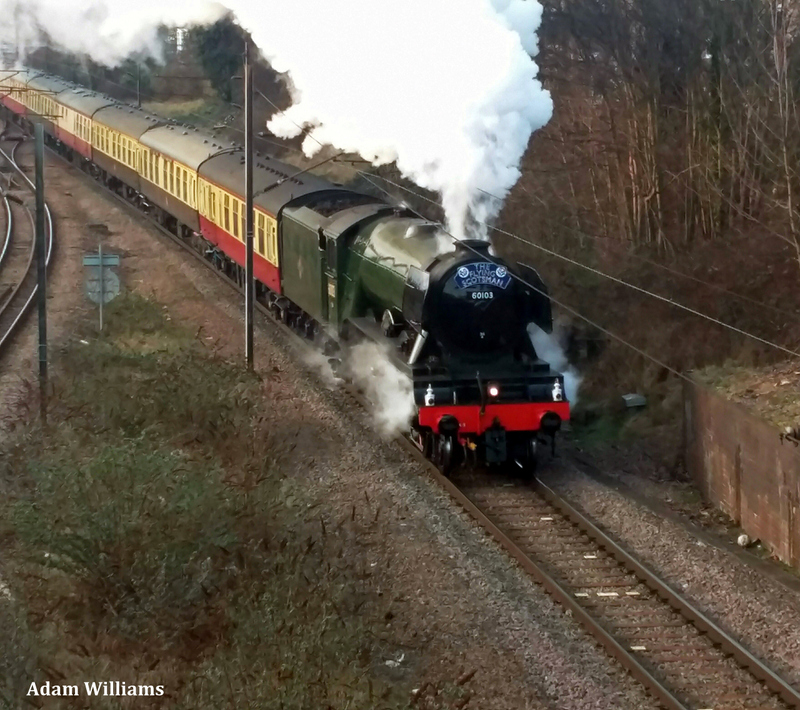 Network Rail said the number of people on the trackside had caused "safety concerns" and resulted in a number of services, including Flying Scotsman, having to slow down." The train was halted a second time north of Doncaster following reports of trespassers on the track which were later found to be false. Crowds gathered at King's Cross for its scheduled departure at 07:40 and thousands lined the route, while some of the 297 passengers paid up to £450 for a ticket to travel on the train. 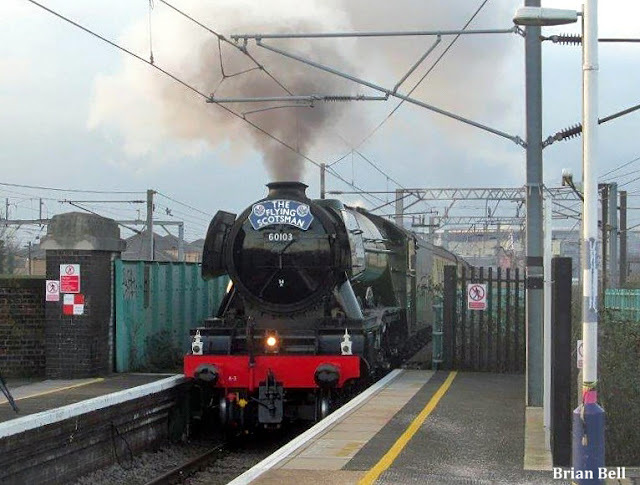 Among the passengers was 83-year-old Ron Kennedy, from Leigh-on-Sea, in Essex, who drove Flying Scotsman from 1956 until it was retired in 1963. He said "It's unbelievable. I never dreamt about being on it again. To be out with it is just fantastic." NRM director, Paul Kirkman, said the restoration project was a "long old journey" but added that it was "incredibly satisfying" to see the locomotive returned to service. 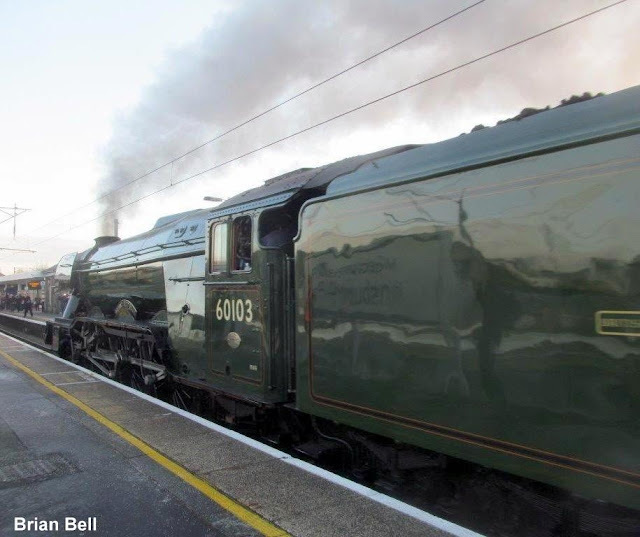 The locomotive undertook a series of test runs through Cumbria and Lancashire earlier this year.